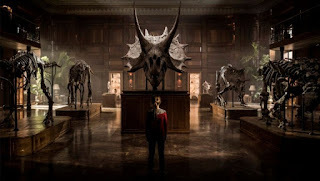 It appears that, for the second week in a row, the fifth installment in the Jurassic franchise will be taking home the top crown at the box office. 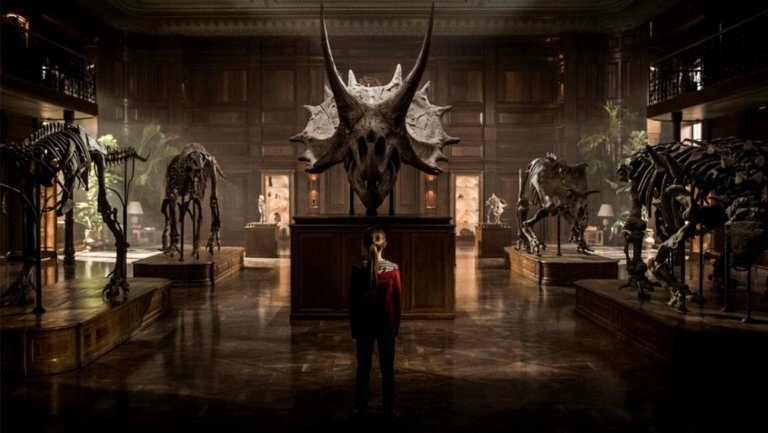 The question is whether Jurassic World: Fallen Kingdom is making all of its money due to it being a quality film, or is it basking in the glory of history of the franchise. Fallen Kingdom is the second film in the Jurassic World phase of the franchise, once again starring Chris Pratt and Bryce Dallas Howard. Several years after the Jurassic World incarnation of the live-dinosaur amusement park endured the same fatal fate of the original Jurassic Park, a crew is being put together to return to the tropical island to try and save some of the once-extinct animals from a volcano threatening to destroy the entire island. 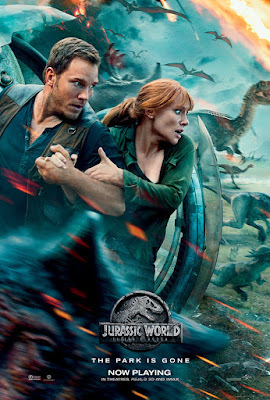 As the former head of the park, Claire (Howard) is asked to put together this team which must include her ex Owen (Pratt) because of his relationship with the last living raptor. In the process of saving the dinosaurs, the eco-centric team realizes they were lied to as to the future of the rescued animals. First, the positives. 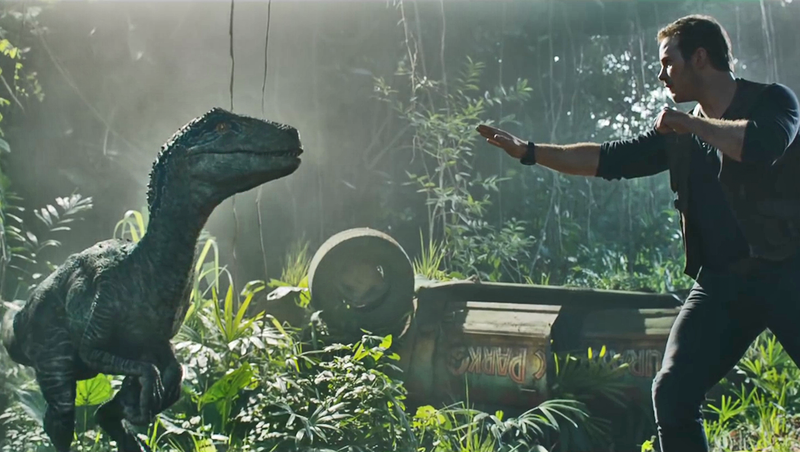 I love the Jurassic franchise simply for its unique approach of humans interacting with dinosaurs. I even enjoyed Jurassic Park III for what it was. At this level, Fallen Kingdom doesn't disappoint. If you are looking for suspense in humans being chased by dinosaurs, dinosaurs being chased by dinosaurs, and any other combination that could happen, Fallen Kingdom doesn't disappoint. The filmmaking and CGI is decent as well. This film contains possibly my favorite shot I have seen in any movie so far this year. As the boat pulls away from the island being engulfed by the fiery volcano, a lone dinosaur stands on the dock looking longingly at the departing boat. It is an incredibly moving moment. 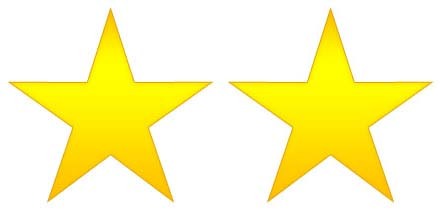 Also, every movie is made better when Chris Pratt is in it, and his chemistry with Bryce Dallas Howard still works. It was also nice to once again see Dr. Ian Malcolm show up, brought to us by the irreplaceable Jeff Goldblum. With all that said, there was a lot that bothered me about this movie. 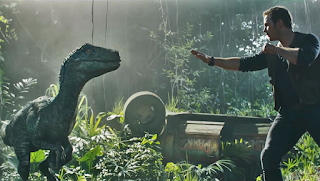 Jurassic World did what a lot of reboots have done over the last couple years. It took the successful storyline from the original film and updated to a new setting. Jurassic World was, in many ways, a remake of Jurassic Park just like The Force Awakens was, in many ways, a remake of A New Hope. Those films work because they are based on strong original movies. Fallen Kingdom is, in many ways, a remake of The Lost World: Jurassic Park, the second installment in the franchise. The Lost World is not near as strong as the first film. This means when Fallen Kingdom bears that resemblance to it, it does not bring about the positive feelings like the last film. If you don't believe me, here is the plot of The Lost World. A research team goes to the island only to find out that poachers have also been sent by the company as well to undermine the original team and take the dinosaurs off the island to the mainland where they wreak havoc. This is basically the same plot. Sometimes that's okay. This time, it isn't. The other thing that really bothers me about this film is how the trailer completely ruins the film. The original trailer was quality as it discusses the efforts of the team to save the dinosaurs from the volcano. However, the subsequent trailers give away every major plot point and almost every twist in the story (at least every twist that is worth while). Trailers are supposed to give a preview of the movie, not a synopsis. I had more issues with the film than just the trailer and its similarity to The Lost World. The action at times was almost cartoonish. The two side characters in the team are such stereotypes that it is distracting. The new genetically-modified dinosaur is made to look more like a demon than a dino. Then there is the final plot twist that comes out of nowhere, makes no sense, and is almost ignored. The one time it is brought up again is the justification for the film taking the easy way out with the ending instead of ending the way it should have. To answer my question from the beginning, Fallen Kingdom is simply riding the coattails of past franchise success to big box office numbers. Of the five Jurassic films, this is probably my least favorite (yes, I liked Jurassic Park III more). There were just too many head-scratching moments. It is still an enjoyable film for what it is. Just don't expect it to exceed expectations. I have no idea where the franchise goes from here, but I am starting to care less and less.